Toward the end of January, any sign of spring is a welcome thing. 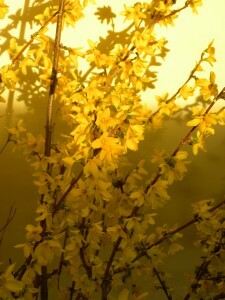 A simple “fix” is achieved by forcing Forsythia. A shrub found on many if not most properties; beginning in January, numerous waves of branches can be forced into bloom until the shrubs flower naturally out of doors. Cultivated, named selections such as F. x ‘Lynwood Gold’ have larger and more deeply colored flowers but any variety will work. 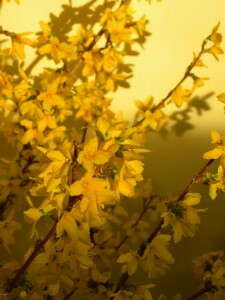 Simply cut branches – the long, whippy ones look best – and place them in a vase at room temperature in a bright spot. If the branches are thick, say 1/2″ or thicker, cut a slit 2″ to 3″ up the stem to aid in water absorption. For the same reason, cut the stem ends at a slant. Branches taken in January might take two to three weeks to flower depending on house temperature. As spring advances, less time will be needed to bring the branches into bloom. By March, flowers may open in as little as one week. 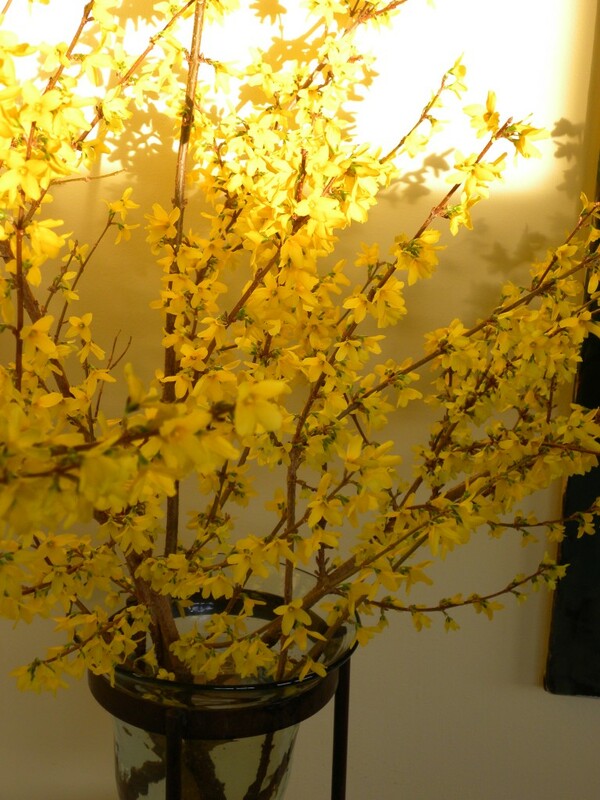 Many other spring flowering shrubs can be forced as well, start with Forsythia for guaranteed success then try Japanese Quince and Ornamental Cherry branches.